We believe that learning any language should be fun and entertaining, so have designed all our children classes so that they are active, lively and varied. 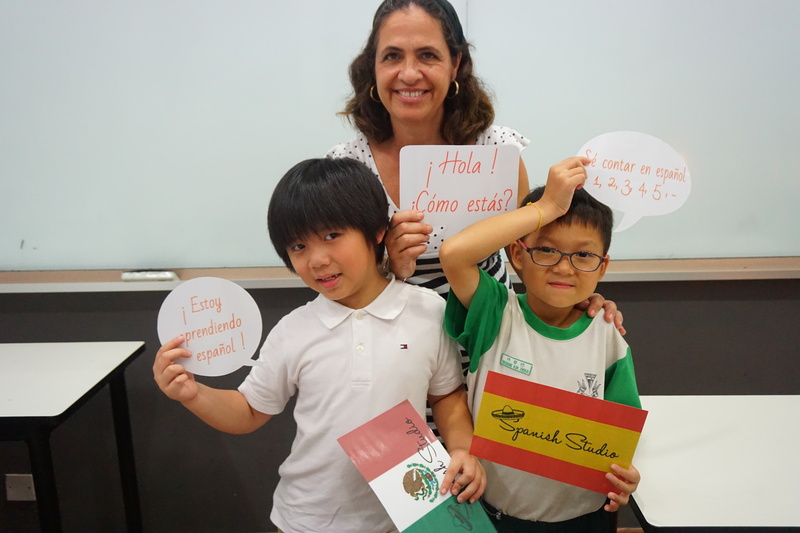 Our qualified, native Spanish teachers use a range of teaching methods tailored to the age of your child, including games, crafts, role plays, stories, songs and more. We also encourage group activities, so that your child can meet children from a range of different nationalities and make new friends while learning Spanish. In all our children classes we initially focus on developing vocabulary and speaking skills. Grammar, listening, reading and writing are then slowly introduced, according to the age of our students and the progress they make. When we can, we also incorporate fun cultural activities to bring the language to life, such as learning Spanish Christmas songs in December and how Halloween is celebrated across different Spanish speaking countries. We run a range of Spanish classes for all ages, starting from from Beginner Level, through to Advanced. Check out our online schedule for more information! Need Help With Homework? Preparing for an International Exam? If your child could use an extra hand with their Spanish homework, or would like some help preparing for their Spanish exams, then we are here to help! We offer private tuition classes, which can be 100% tailored to meet your child’s needs – whether it be examinations tips, mock exams using real past papers, or help with a Spanish assignment. Get in touch with us today to find out more! I like my Spanish classes. I have made a lot of new friends. Every Saturday we sit next to each other and have fun with our teacher. I really enjoy my classes with Eva. She’s such a funny person and always makes me laugh. We sing Spanish songs and I can already say a lot of things in Spanish!